The delight of horse ownership touches all walks of life, and this horse ready property is truly an equestrian delight. 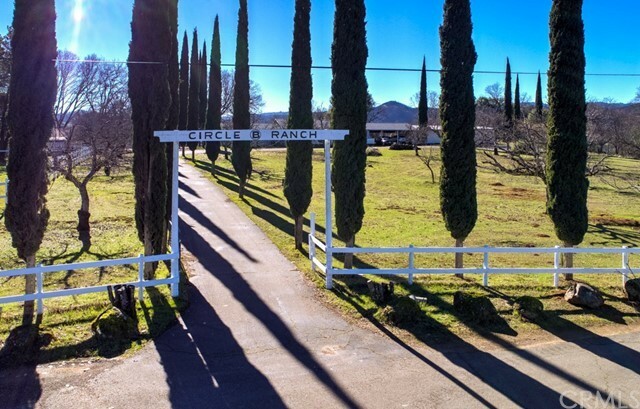 This is the Circle B Ranch. The 7.3 acres includes a 3 horse barn with 3 stalls and 2 tackrooms with extra storage, a hay barn, a 70 foot goat barn, a 150 x 70 foot arena, a 3 bay implement barn and a 20 x 40 insulated shop. the ranch has 80 + walnut trees and a 15 gallon per minute well. There is a huge newer deck in the back of the home which overlooks 23,000 acres of recreational land, which is about 100 yards away and very accessible, trails forever. The property is fenced and cross-fenced. Also included is an archery range, a 30 amp RV hookup and a seller owned $50,000 solar system which sits on a newer 40 year Elk comp. roof. Inside the home is spacious and bright. It comes with an extra large living room, as well as a true country kitchen with a large island. There are 3 bedrooms and 2 and a half bathrooms as well as a sun room and storage galore. The privacy factor here is amazing, yet its only 2 miles to town and the school bus stop is at the end of the driveway. This is ready for you and your horses to settle in with no hassle & start enjoying your life in the country.